OLYMPIA, WA – According to Capital Lakefair President Karen Griggs, Capital Lakefair, the annual community festival held in downtown Olympia at Heritage Park on the 3rd weekend in July, starting the Wednesday prior to Sunday, had a good turnout this year. This is the 60th year of Capital Lakefair. The first ever Lakefair opened on Friday, August 2, 1957. The center of activity was the midway on 5th Avenue, between Sylvester and Simmons streets. 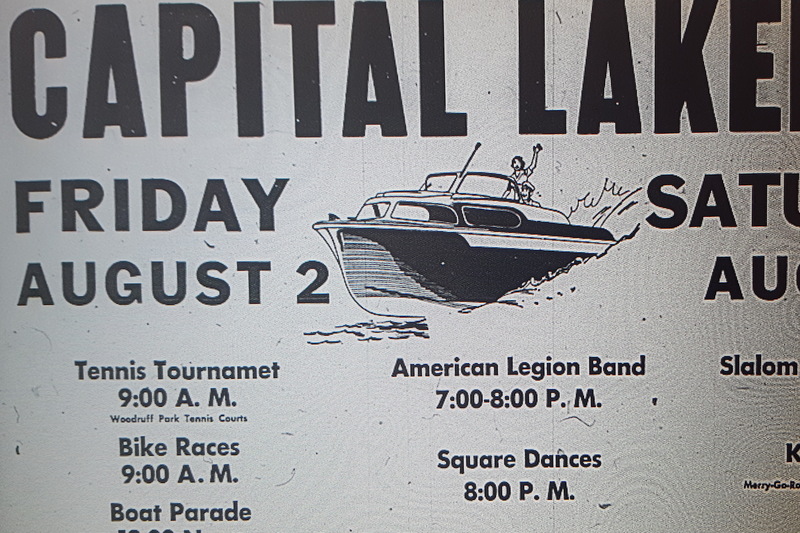 The very first Capital Lakefair was planned and executed in a little less than two months of serious planning. Early in the summer of 1957, the Capital Lakefair Committee began meeting with the Olympia Retail Board. The two organizations met at the Hotel Governor, a smaller three story establishment above the then new Capitol Lake, where the Governor Hotel stands today. The board was a subdivision of the Chamber of Commerce that advocated specifically for retailers. At this point, before malls in Lacey and West Olympia were built, downtown Olympia had few competitors for retail dollars. This year, the Lakefair Grand Parade had over 100 entries. They ranged from local public service organizations, to high school bands and drill teams, to classic car clubs, and floats from other community festivals. The parade also included one very hilarious entry from Howdy’s Doody Service – a septic pumping service. Capital Lakefair closes out tonight, Sunday July 16th, with Grand Finale Fireworks lighting off at 10:00 pm over Capitol Lake.